Tarter's Valu-Line 5-Bar 10' Corral Panel is ideal for light confinement. It is portable and convenient for travel to overnight shows and trails rides. Standing 62" high with vertical Z braces and a convenient drop-pin hookup for fast and easy setup. 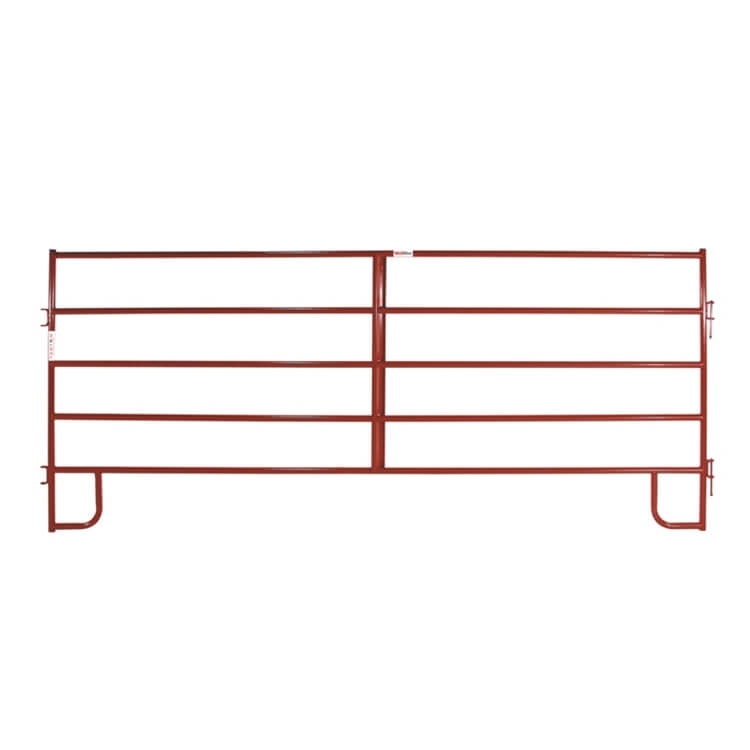 The Valu-Line 5-Bar 10' Corral Panel features superior E-Coat finish in red to ensure longer life in the field.